Music on Main is proud to present Shannon and Heather Slaughter and County Clare live from the Blue Ridge Music Hall of Fame at the Wilkes Heritage Museum. They will be performing on June 7th at 7:30 pm. Local favorite Jonah Horton is set to open for the group. We are excited to welcome Shannon back to Wilkesboro, where he spent many years playing music, coaching football, and teaching at Wilkes Central High School. County Clare is a high energy bluegrass band featuring a collection of talented musicians and vocalists who share a love for traditional and contemporary bluegrass and country music. Shannon and Heather Slaughter, originally from Chiefland, Florida and Argo, Alabama call on several friends and bandmates to accompany them based on the location of each show. Their powerful duet singing is the mainstay of each performance. Core members are Shannon Slaughter (guitar/vocals), Heather Slaughter (bass/vocals), Joey Cox (banjo/vocals), and Ron Inscore (mandolin/vocals). 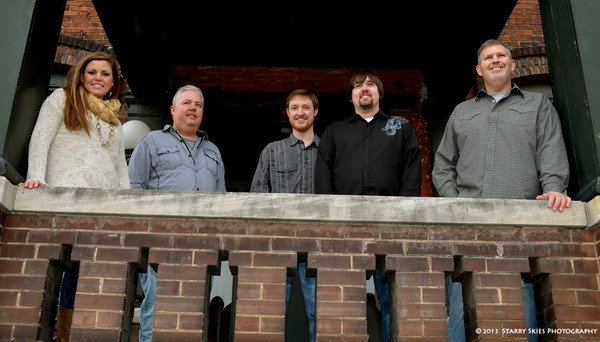 Each member brings an immense amount of professional experience to the stage, having played and recorded with the likes of Doyle Lawson and Quiksilver, Mountain Heart, The Lonesome River Band, and Lou Reid and Carolina. County Clare promises a fresh sound, mixing original songs as well as recognizable bluegrass and traditional country material and good ole doses of humor; a complete stage show designed for every fan’s enjoyment.